LONDON (AP) Roberto Firmino joined up with Brazil’s World Cup squad earlier than expected and was rewarded by coach Tite with a place up front alongside Neymar in training on Tuesday. The Liverpool striker, expected to vie for a spot with Manchester City’s Gabriel Jesus, lined up with Paris Saint-Germain’s Neymar and Chelsea’s Willian in an open session at Tottenham’s training center. 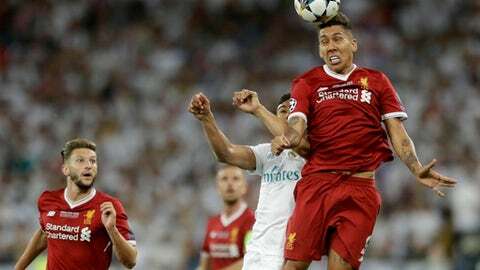 He had been excused until Wednesday after playing in the Champions League final against Real Madrid on Saturday. Madrid’s Casemiro and Marcelo plan to arrive in London on Wednesday as scheduled. Miranda, a starter during much of the qualifying campaign, was replaced by Thiago Silva in defence on Tuesday.